Herbal Care is a brand specialising in natural cosmetics, which are based on herbal traditions. The novelty from the brand, expected to rule this spring, is dry shampoo for oily hair, Herbal Care Nettle. What is in its composition? How does it work? Should you buy it? Below, you will find brief review of this herbal novelty. Dry shampoo Nettle for oily hair is a cosmetic with custom selected ingredients with proven effectiveness – valued for ages vegetable extracts and innovative active substances. Their combination provides us with an organic product referring to herbal recipes, which properties are confirmed not only by the Herbal Care My Nature, but also large number of satisfied consumers. 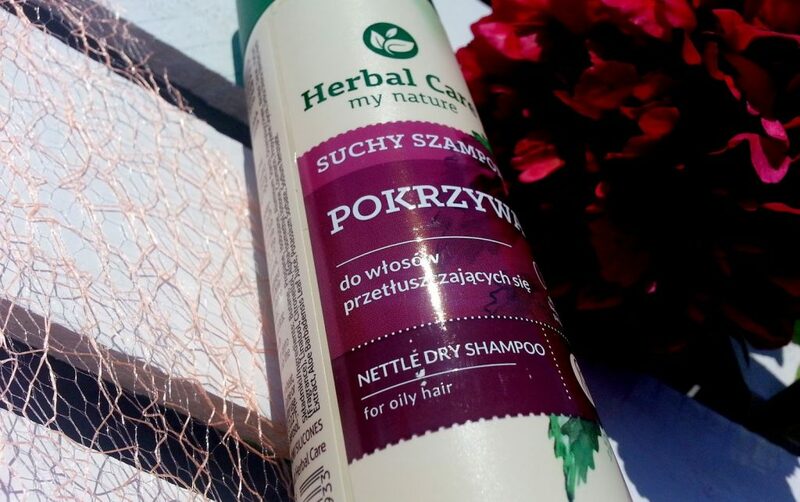 Dry shampoo Nettle, developed in the Laboratories of Natural Cosmetics Farmona is a 100% natural cosmetic, which action is based on nettle extract enriched with corn starch and aloe juice. This natural cosmetic contains no harmful substances, like parabens, paraffin, ethanol and artificial colourants. Nettle is known for ages as a one of herbs with positive influence on hair condition – it regulates work of sebaceous glands, lowers the amount of sebum and effectively limits oily hair. Corn starch (an ingredient often used in home made dry shampoos) absorbs sebum and aloe juice indicates moisturising and regenerative properties. The combination of those ingredients in Herbal Care Nettle provides us with entirely natural and safe dry shampoo with lots of properties. Most of all, dry shampoo Nettle immediately refreshes hair and lasts for a long time. Thanks to Herbal Care, hair can restore their clean appearance and freshness without the necessity of hair wash. Regular use of dry shampoo for oily hair, Herbal Care, effectively limits greasy hair and additionally makes hair easier in stylisation, provides them with volume and silky softness.